The newly renovated 18th century cloth hall has to be the best in Britain. This architectural treasure has been significantly enhanced by years of effort and lots of dosh but commercially it needs reinvention. 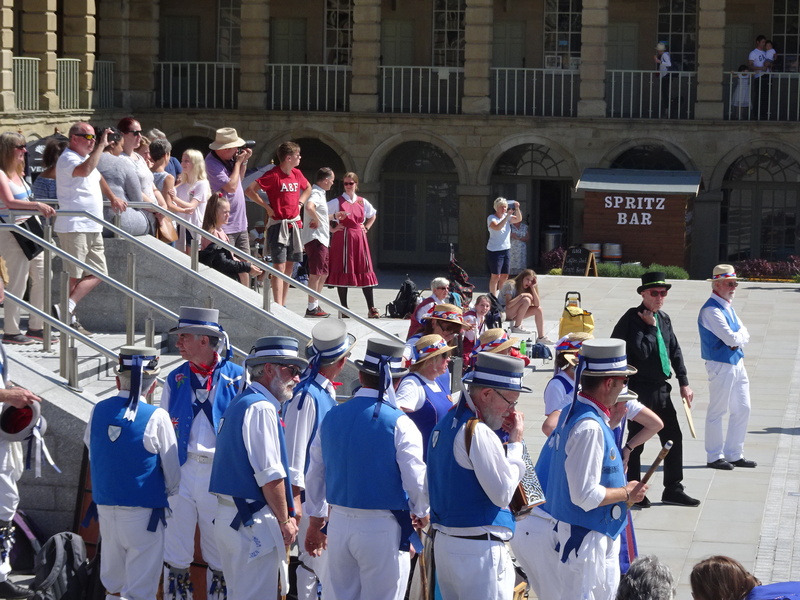 This Morris dancing on 14th of July was an attempt to utilise the square but it only emphasises the scale of the site. Future aspirations include more Family Music, Workshops, Exhibitions and Special Events . The resident retailers are bound to struggle without a nucleus of anchor businesses that attract regular and sustained footfall. Many of the current units are occupied by aspirational but twee lifestylers. Where are the replacement cloth merchants and innovators able to help the commercial drive and reinvention process. 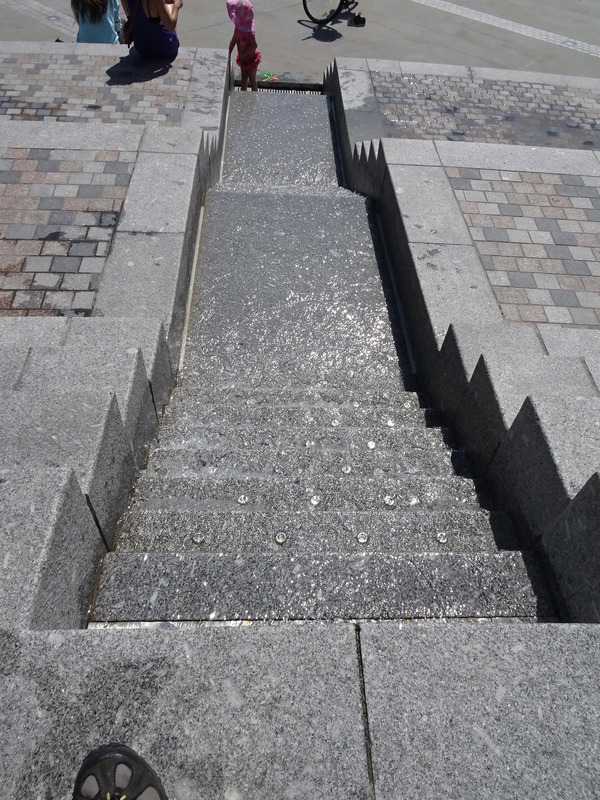 The rills (below) look enticing and provide movement and a place for toddlers to splash around. 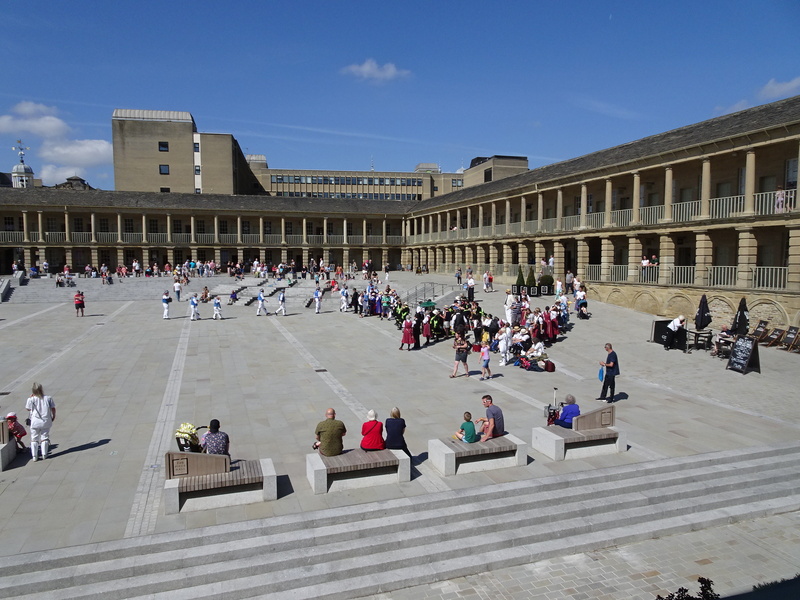 The seating on stone blocks provides a viewing platform whilst softer seats are available at cafes and coffee shops. The new toilets are first class and the addition of lifts to this old building helps the infirm and weary. Previous Previous post: Wapentake – Danish Pastry?